1. To request for Refund or Exchange, email us at admin@naelofarandmore.com. Please state your reasons and attach product picture if necessary. 2. Please wait for our team to reply your email before returning the item to us. 3. Return the item (s) to us in its original condition and packaging within 7 days of the email confirming shipment. 4. Your request will be review within 14 working days of its receipt. 5. Reasons such as “I changed my mind”, “I don’t want it anymore”, “The colour is different from the website”, “I don't like the colour”, “I already have the colour”, “I don't know how to wear it”, “The product doesn't suit me”, will not be considered as valid grounds for refund or exchange. 6. All returned item (s) are subject to quality control inspection and approval. 7. Sale and discounted item (s) are not eligible for refund or exchange. 8. Item (s) must be unused/unwashed/unworn and in the exact condition when purchased. You must present original receipt and it must also be in the original packaging. 9. 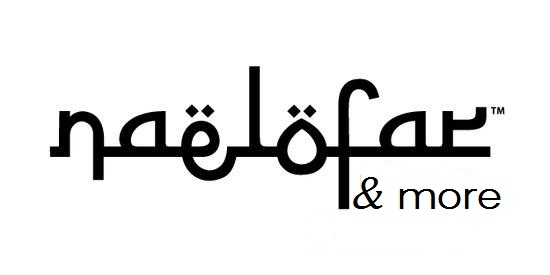 Only purchase made at Naelofar & More website is eligible for refund or exchange. 10. It is your responsibility to ensure the item (s) reaches us. We strongly suggest that you send your parcel using registered mail with a tracking number so you can track your parcel. Shipping cost of returning item (s) are not refundable and will be borne by you. Once your return is received and inspected, we will send you an email to notify you that we have received your returned item. We will also notify you of the approval or rejection of your refund. If your application is approved, then your refund will be processed, and we will notify you once payment is ready. Only regular priced items is eligible for refund or exchange, unfortunately sale items cannot be refunded or exchanged.